Description: Silicone trumpet shaped iPhone amplifier. 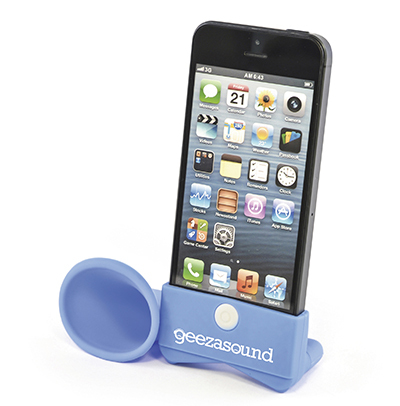 Place your iPhone in the shaped slot on the unit and music from the iPhone will be amplified. Suitable for iPhone 5, 6, 6s and 7. Additional Information Price includes 1 col print. Price excludes Carriage & Origination.